By most measures, Boyd Gaming makes well thought out decisions that result in a strong earnings growth trend. We appraise it strictly by our industry-centric management skill set and it comes out among the best. It will continue to pursue transactions that fold into the rapidly consolidating regional gaming space and emerge as a leader. Since 1978, when the US gaming industry broke free of the Nevada monopoly with Atlantic City’s debut, there have been three dominant strands of management that have defined the success or failure of the dozens of public gaming companies followed by investors since. Managing by metrics forged in the hotel industry adapted to casino performance. These are somewhat flawed. People don’t visit hotels for the precisely same reason they book casino visits. Managing Vegas style, gut instinct reading the casino floor, instinctive grasp of customer needs. Rooted in the past. Blocks useful deployment of technology. Replacing instinct with belt and suspenders corporate style relying on ever more complex algorithms and push-button decision-making. This can create overreliance on numbers that never tell a full story. As both a long time student and practitioner of the “art” and the science of managing casino businesses, I have evolved a set of grading standards I apply to companies I analyze here on SA, as well as those for whom I have performed consulting services. I do infuse my valuations into the standard metrics of EV/EBITDA ratios, leverage, P/E, ROI, EPS, etc. I come out on the other side with a value equation I believe reflects more of a 180 degree view of a company. I study its prospects and the possible rise, fall or wallowing of its shares, valuing management execution in addition to merely looking at numbers or macro trends. Much of the fine analysis we find here on SA plumbs company performance metrics like heat seeking missiles, aimed at blasting open values the market in general seems to miss. In the process, we present blizzards of numbers, charts and formulae and quite often do make the case. In my own case, I attempt to add the dimension of an observer/analyst who reads the dynamics of company performance from the viewpoint of inside out, rather than outside in. So during earnings calls of gaming companies, for example, when analysts ask questions, they are making a good faith effort to learn and transmit numbers and information they believe can result in recommendations Mr. Market can understand. All well and good. In the end, it is essentially a process of elegant accountancy employed in the service of detecting value or lack of same and, of course, opportunity. But there is often a difference between the behavior of a company’s stock as against the skill set of a company’s management team. Numbers can illuminate but also mislead. Not all metrics are equally applicable to all companies. Perception rather than reality rules more often than we’d like to think. The difference lies in the competency of a company to execute its goals by a management, which, over time, assures investors their money is in good hands and will multiply. No MBA is required to understand that of course. But teasing out good managements from bad ones is a lot more elusive than what might be exposed during earnings calls. To measure management quality from the inside out as it were, I have developed my own set of criteria. By it I attempt to grade management from the viewpoint of another manager who also has had his share of successes and failures in the real world. In the end, it's about what was learned, metabolized into the gut and brain and has developed the informed instincts in how to move a company forward. Or on the contrary, become so lobotomized by numbers that they just don’t understand what is happening while it is underway. A great insight from Winston Churchill illustrates my point. In referring to an incompetent, but stylish minister, Churchill said, “He does not know what he is going to say before he says it. He does not know what he is saying while he is saying it. And after having said it, doesn’t know what he said.” I have known such executives in our industry. Understanding the customer who lives beneath the trip frequency, win/loss and comp point generation. Asset allocation over time. Has the company been wise in what it bought, sold, or held? Marketing innovation. Does the company follow lock step repetitions of the same old promotional tropes, or create an everlasting flow of adaptation to changing demos? Understanding that heavy, constant capex comes with the territory. Managing debt is a fundamental skill set for smart gaming companies which consistently produce the best returns over time. Knowing when to pull the trigger on a deal and when to tell the dealer, we pass. In this article, I apply my criteria to the shares of Boyd Gaming Corporation (NYSE:BYD), a company I have known over time and grade an 'A'. BYD is not unappreciated by the investment community. It is well covered and, despite its sometimes erratic trading patterns, comes out generally well regarded. We add to this outlook by seeing the company through our own inside out lens and key metrics. On that basis, we evolve a price target that currently sits significantly above consensus. Our PT: $47.50 by end of 3Q19. We value BYD's management quality worth a $9.50 premium above analysts' PT as of now. Recent low: On December 24, 2018, BYD traded at $19.26. Its nice upside move since, we believe, will continue to trend as results from its 2018 acquisitions fold into EBITDA and the company continues to be one of the most acquisition minded among US regional peers. We are all in on consolidation. Its idea is here, its time is now. BYD isn’t nearly finished acquiring or merging, in my view, despite three big deals done this year. 1. Understanding the customer. Like so many of its Nevada birthed peers in the regional space, BYD has benefited measurably from its origins in the customer service ethos of its founder, Sam Boyd. Beginning in the 1970’s locals market with Sam’s Town, Boyd recognized that creating an environment of warmth, the building of host to customer relationships to assure repeat business counted. He also knew that value was a key component and kept prices for food and drink cheap and portions plentiful. Grade: A. 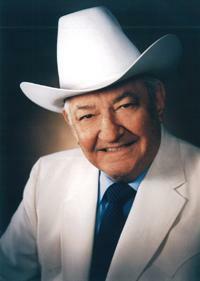 (Below: Sam Boyd. He isn't in the Gaming Hall of Fame for wearing ten gallon hats). Source: Boyd Gaming archives. 2. 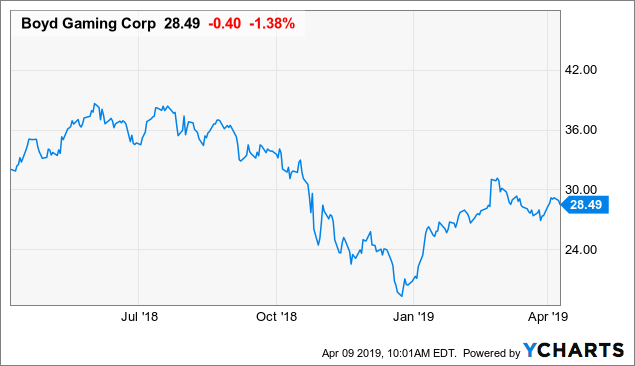 All gaming companies like BYD which have grown out of customer centric founders have thrived to the benefit of shareholders along the way - Harrah’s, founded by Bill Harrah, El Dorado by the Carranos, Monarch by the Farahis, Horseshoe by the Binions. Trace the family lineage through to customer service skills and it tends to seep in deep in the training of even today’s employees in a different time, a different world if you will. Harrah’s and Horseshoe absorbed ultimately by a giant Caesars (NASDAQ:CZR) fell into that company’s systems both for better and worse. Carl Icahn will have the last word on that outcome very soon. BYD’s performance in Q4 in its expanded locals market validates this premise. Over 33% of its proforma EBITDA still comes from the locals market. Grade A. 3. Asset allocation. For this we again cite BYD’s remarkable performance in Atlantic City. Partnered 50/50 with MGM it opened the Borgata in 2003, quickly rose to market leadership, building in what was clearly the most bruising, competitive jurisdiction in the nation. The $1bn initial investment bore results and the partnership put another $500m into expanding its footprint, room and gaming capacity between 2006 and 2008. 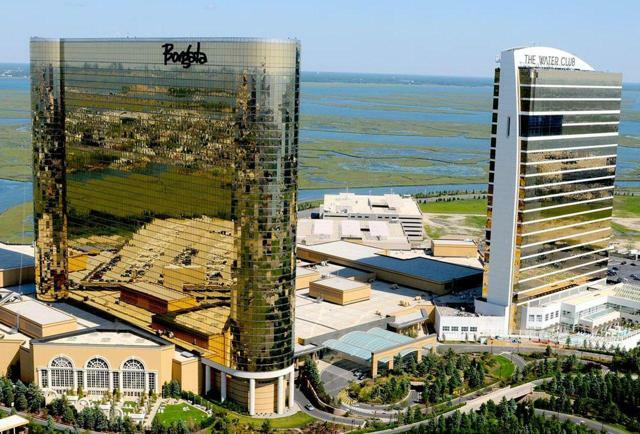 Despite cannibalized gaming win from neighboring states that began tolling the endgame for AC growth in 2006, Borgata sped ahead and continued to grow. Knowing when to hold ‘em, BYD made a ton. Also, knowing when to fold ‘em, BYD, in 2016, sold its 50% of the property to MGM (NYSE:MGM), gaining net $600m in the transaction in 2016. (The Borgata: Broke the rules, now makes the rules in AC). Since then, the company has redeployed its cash and leverage to expand its footprint in the Vegas locals market as well as regionally in the South, Midwest and Northeast. Last May, it also bought Lattner Entertainment Group for $100m cash. Lattner runs 1,000 gaming machines in 220 tavern locations in the state. By this deal, BYD diversified its portfolio in an area expected to grow as a logical extension of its creed as a locals gaming operator. The neighborhood drop in slot patron in Illinois brings the same customer psychology to the play as the one in Las Vegas. This allocates not only investment dollars but know-how found to run deep in the BYD management ethos over many years. 4. Marketing Innovation. We turn again to the BYD run in AC’s Borgata. I attended any number of candid industry briefings run by Borgata executives prior to its opening. From the get go, they eschewed taking vows in the AC marketing religion: unabiding faith in mass bussing, ferocious competition on bus package giveaways, excessive comping, and positioning to a dramatically younger demo despite much skepticism among many competitors that ignoring the “blue hairs” could spell slot win death. They were wrong. Borgata went its own way, herding masses of Gen-X and millennials to their poker tables, blackjack pits, restaurants, nightclubs and showrooms. Even in a 2019 AC, halved in its gaming win, Borgata continues to lead the pack. Grade A. Understanding that Capex is the lifeblood of the brick-and-mortar casino business is crucial to a consistent policy of keeping properties updated before they age out into dowdiness and turn off customers. BYD has over the decades kept its properties updated, often at the expense of taking a larger than perceived hit on earnings. But their recognition of the inescapable fact that tired casinos breed tired customers or no customers at all is not as widespread as one may think. 5. Pulling the trigger on a deal. This year, BYD did three deals, expanding their portfolio geographically as well as tangentially. It acquired regional properties from Pinnacle and Valley Forge, putting down its footprint in Philadelphia, St. Louis, Kansas City and Cincinnati. This company is not a kicker of tires. Its decision making process in valuing deals has proven it can deliver accretive EBITDA(R) to make its ROIs productive over and over. Grade A. And it isn’t done. Clearly, we are entering the next phase of regional casino consolidation as primary peers in the space go to the REIT structure, expand geography and buy properties. Enter Carl Icahn whose decisions on the future of Caesars' regional portfolio will have a profound influence on consolidation going forward. BYD is well along in the process. I believe we will see more deals coming for this company as it continues to produce a strong forward earnings profile animated by a savvy management. Yes, BYD has stubbed its toe in the past, having once misjudged the prospects for gaming expansion in Florida and bought the Dania Jai Alai fronton, and then was forced to sell at a loss. It was a teaching moment that doesn't, in our view, blemish a long-term pattern of management skill.